Orkut started new feature to spice up your Orkut profile using colorful Orkut badges. There are different types of badges for users that managed by orkut in different ways. You will get Early user badge if you are using Orkut more than 5 year or get Graduate badge if you have a community with more than a million members. You can customize Orkut profile to display badge icons of your own choice. Click Profile button at the top. 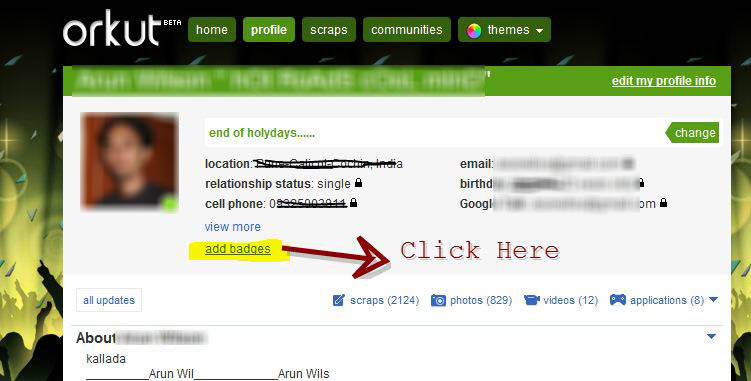 Click ‘Add Badges’ link on Orkut profile page. Here you can drop badge icons to display on your profile page. 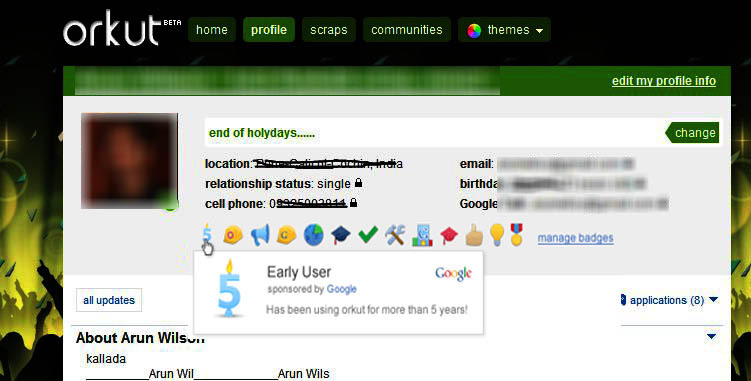 If you do not this option, it being rolled out to all Orkut user with in few days. You will get badge icon for your Orkut profile based on your Orkut activity and interaction level.